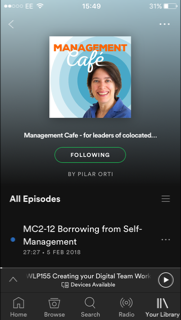 In today's episode, Pilar and Lisette share some of the ways in which organisations and people can protect their work when working outside of the office. Join us for Virtual Team Talk. Sococo has a new "meetings" feature, which makes it easy to organise meetings in the space and also to tap someone on the shoulder to let them know you want to talk to them, and they can easily refused. We're looking at security from three points of view. From the organisation: Can I trust the people? Can i trust the tools? And for both organisations and individuals "Am i/Are we safe?" Can employees from the external tools we use read our data? What's the deal with IT? Are they lazy or are we not making the case for choosing our own tools?